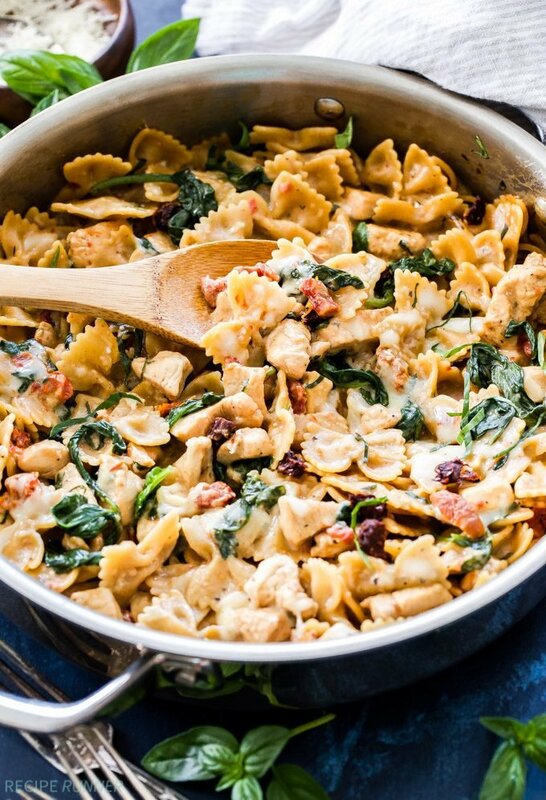 One Pot Creamy Sun Dried Tomato and Spinach Pasta with Chicken. You won’t believe there isn’t a drop of cream in this flavorful, healthy pasta dish! 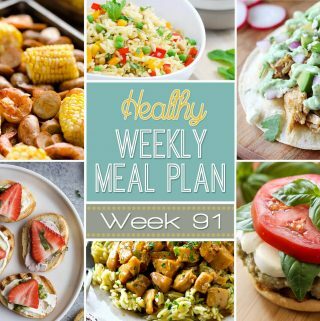 An easy dinner the whole family will love! Did you guys watch the solar eclipse? Over the weekend I was laughing at the lengths people were going to see the historic event. Driving out of state and camping, paying a ridiculous amount of money for the special glasses, it all seemed like a bit much. Well, for as much as I was making fun of it I sure nerded out on Monday and watched the whole thing! It was pretty amazing how dark it got here in Denver. We had 93% coverage here and the darkness was comparative to a major storm moving in. I was also amazed at how much it cooled off, it must have been close to 10 degrees cooler during the peak of it. As I was standing out on the deck taking a ridiculous amount of pictures, hoping one would turn out I thought about how amazing it would have been to summit one of the fourteeners here at it’s fullest time. A little late on that idea, but I’m sure someone did it! Of course with all that hooplah I didn’t get a whole lot done the rest of the day. I did however manage to write this post so I could share this wonderful, carblicious, one pot recipe with you. 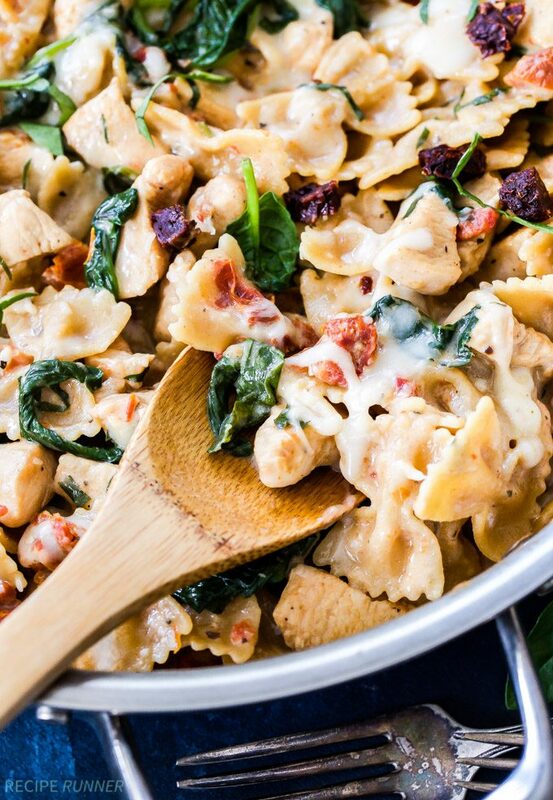 One Pot Creamy Sun Dried Tomato and Spinach Pasta with Chicken. It’s a mouthful, both figuratively and literally! 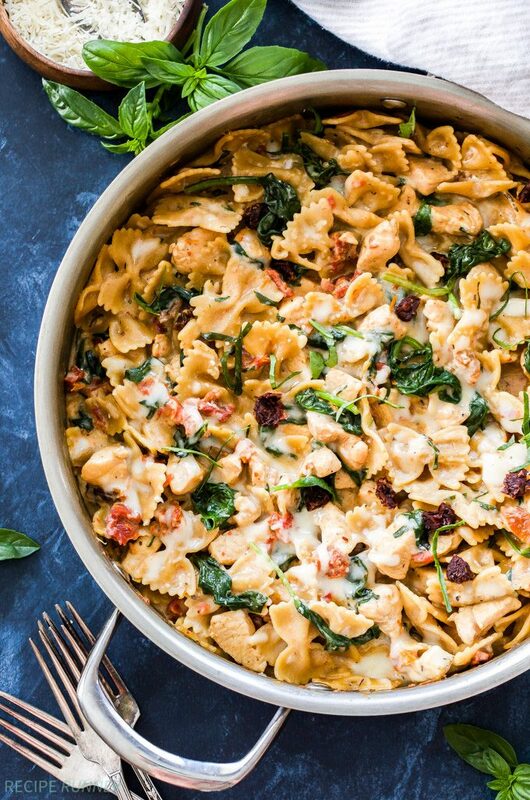 This one pot pasta dinner is perfect now that kids are back in school and there isn’t a whole lot of time between the time they get home and when they start asking “what’s for dinner?”. If you don’t have kids it’s perfect for nights when you don’t have much energy to cook and don’t want to dirty all the dishes. FYI this is me every night. The whole meal is cooked in the same pot/pan and will be in your mouth in 35 minutes. 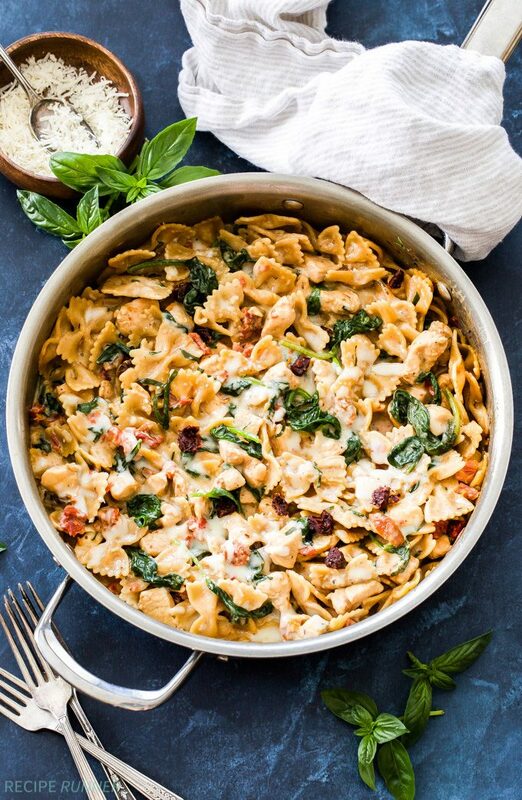 The meal can easily be adapted to be gluten-free by using your favorite gluten-free pasta and to keep it on the healthier side I subbed out heavy cream for plain non-fat Greek yogurt. You still get all the creaminess you are hoping for, but without having to go run extra miles the next morning. 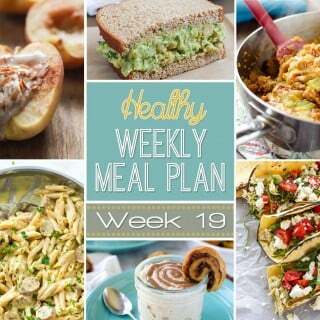 Today I’m sharing the recipe over on Spoonful of Flavor. 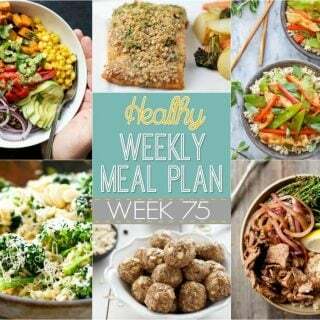 Head on over and grab the recipe and carb up tonight!